Trimilin-med is recommanded for intensiv fitness and endurance training. Pleasently gentle to the spine and joints. At the same time with very dynamic lift. 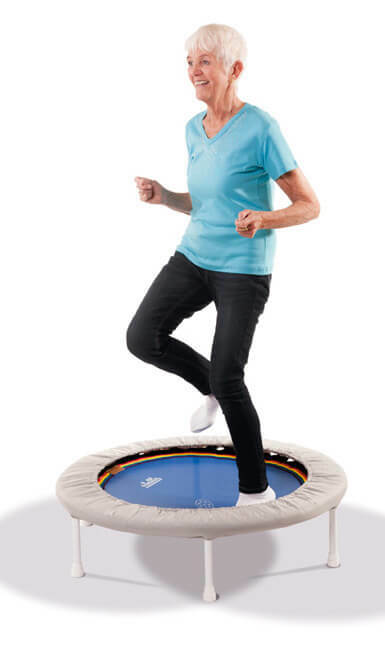 Perfect mini trampoline for physiotherapy and rehabilitation.